Hibernate, the lowest power usage setting next to shutting the computer down completely. 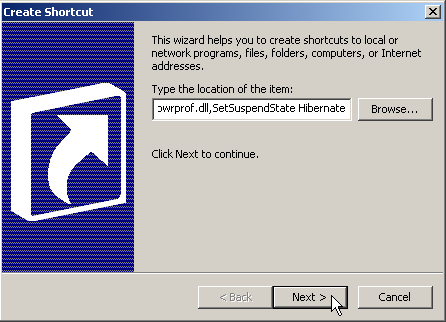 Adding a Hibernate shortcut to your desktop allows you to enter Hibernate with minimal effort, once enabled in Power Options. This power-saving state designed mainly for use on laptops also benefits desktop PC's as well. When you choose to Hibernate, all open file and program information is automatically saved to the hard drive. Unlike Stand By mode, Hibernate retains otherwise unsaved information from loss due to power failure. 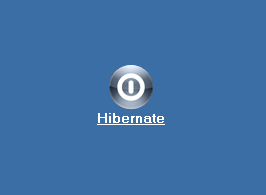 Everything open when entering Hibernate remains as it was, when returning to the active desktop. 1. Right-click any open space on your computer desktop, scroll down to New then over to Shortcut. This action will create a default desktop icon and open a dialog window. 4. 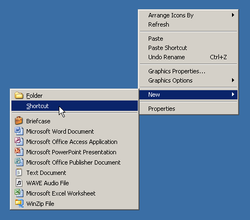 Right-click and Save As... to download a copy of the Windows 7 style icon file (hibernate.ico) to the left. This icon file passed the virus scan during upload. But, by all means, scan the download as you should any downloaded file. Save it to C:\WINDOWS\System32 before proceeding to the next step. 5. 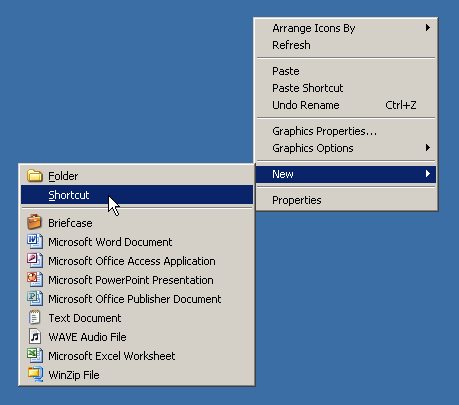 Change the default icon by right-clicking on the shortcut; scroll to Properties and click on Change Icon... In the address window, enter SystemRoot%\system32\hibernate.ico Click OK to close out both windows. * To Hibernate, your computer must be set up by the manufacturer to support the function. 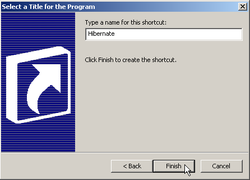 * Enable Hibernate in Control Panel/Power Options/Hibernate; or Start/Run cmd, enter powercfg -h on and click OK.
* In XP, with Hibernate enabled, a Stand By desktop shortcut will cause the computer to enter Hibernate instead. 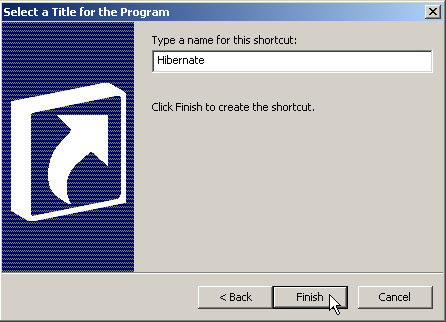 * With Hibernate enabled, you can enter it by navigating to the option via the Start menu; hold the Shift key to change Stand By to Hibernate. * Vista and later, use rundll32.exe powrprof.dll,SetSuspendState 0,1,0 as the target location, with Hybrid Sleep enabled. * To resume Windows, push the Power On button. * Many program executables and a good number of dynamic link libraries (dll's) contain icon files you may use instead of the default shortcut icons. * If you later decide that you do not want this shortcut, simply delete it, no harm/no foul. * To password-protect your computer during Hibernate, navigate through Control Panel/Power Options/Advanced, click Prompt for password when computer resumes from standby. The password is your User password. * When copy/pasting into your text editor, remove the copyright/backlink information before pasting into the shortcut window.